Israeli navy ships opened fire, Wednesday, at Palestinian fishing boats in Palestinian territorial waters, in northern Gaza, killing a young fisherman, the Palestinian Health Ministry has confirmed. 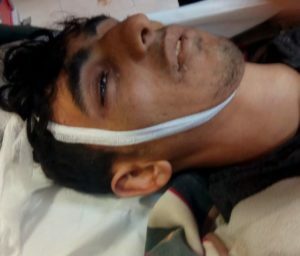 Dr. Ashraf al-Qedra, the spokesperson of the Health Ministry in Gaza, said the navy fired many live rounds at the fishing boats, killing Nawwaf Ahmad al-Attar, 20. The slain fisherman was killed in Palestinian waters, west of Beit Lahia, in northern Gaza. Al-Attar was from al-Atatra area in Beit Lahia. His death brings the number of Palestinians, killed by Israeli army fire and shells, since last Saturday, to fourteen. 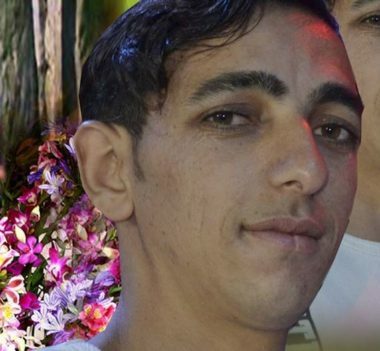 One of them, identified as Akram Yousef Ma’rouf, 29, was killed on Tuesday evening, by a missile fired from an Israeli drone, into the Shaima’ area, in Beit Lahia. It is worth mentioning that the Palestinian Minister of Public Works and Housing, Mofeed al-Hasayneh, has reported that the Israeli shelling and bombardment in the Gaza Strip, since Sunday, has caused destruction and damage to hundreds of buildings and structures. He said that eight residential units were destroyed, 50 were partially but seriously damaged, and 750 sustained light to moderate damage, and added that most of the targeted buildings are in the Gaza governorate. The Israeli shells and missiles struck homes, the headquarters of Al-Aqsa TV, Ar-Rahma residential building, Al-Amal Hostel, Palestine Academy for Science and Technology, Ansar Governmental Center, a building owned by al-Yaziji family, in addition to many other buildings, structures and infrastructure sites.